An esteemed visitor drops in during the off-season. 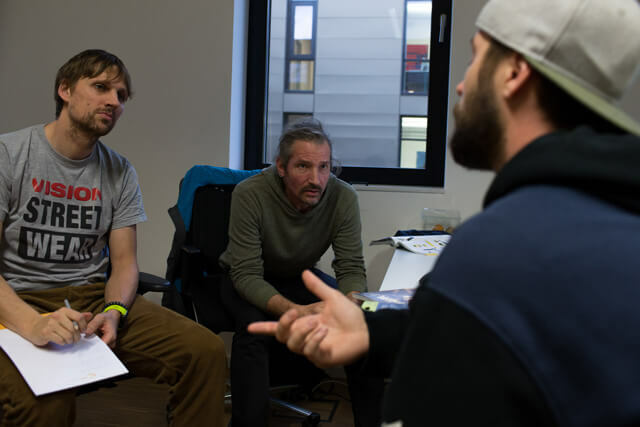 Nicholi Rogatkin visits our headquarters in Koblenz. 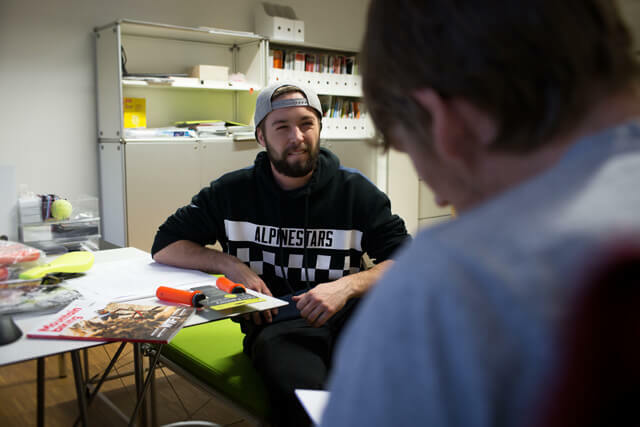 The superstar is not only here for small talk... he gets a behind-the-scenes look into our product development and also reveals why winners rely on ergonomics in slopestyle. 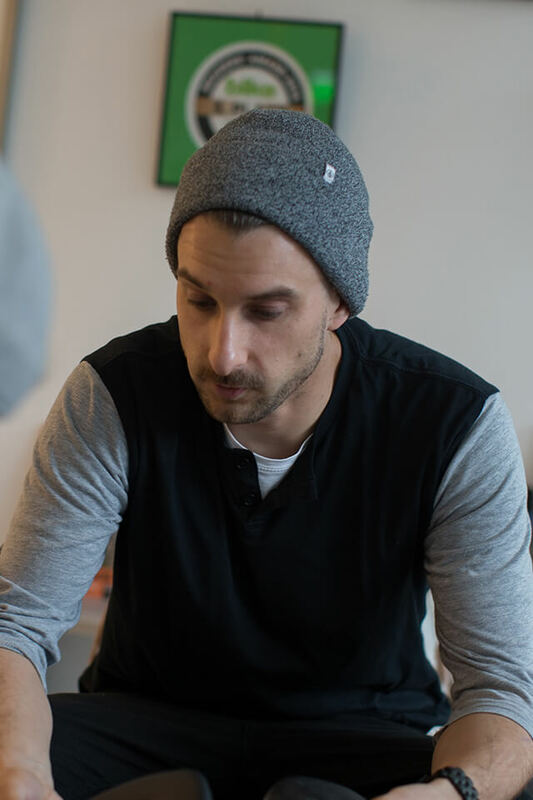 Ergon industrial designer Chris Vollmer in a conversation with Nicholi. Nicholi talks about his saddle and grip experience. ... and let them unfold as a new prototype. 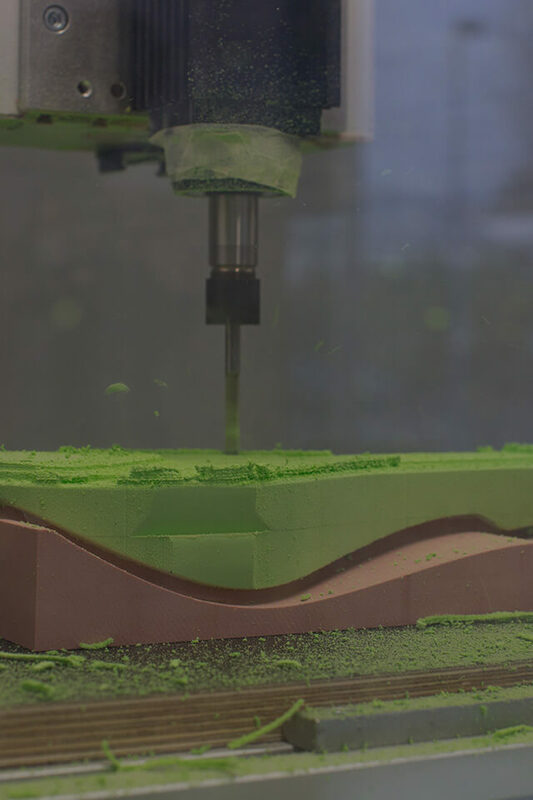 Chris shows Nicholi a milling mold, which serves as a support for the raw upholstery and depicts the SMD2 saddle shell. Let’s go! The milling machine reduces the padding while following the computer design. Just a little “manual work” to adapt the padding. After correctly positioning the cover, it gets glued to the shell, and any excess material gets trimmed off. Nicholi checks the thicker padding with the thumb test. This is what another successful day in the workshop looks like... with a smile on your face. 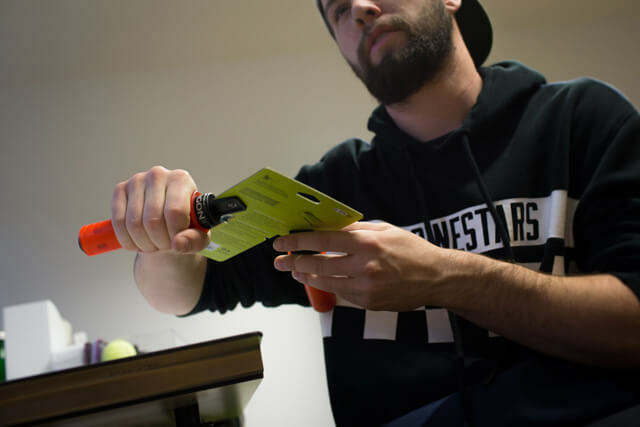 The talented 22-year-old is truly fascinated; just moments ago he was discussing this special saddle idea with Chris, and now he holds his own slope-style version of the SMD2 in his hands. 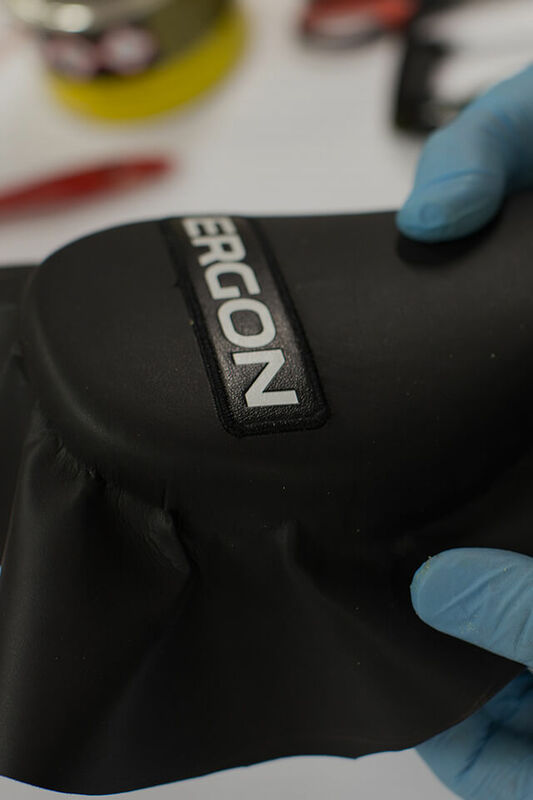 The immense know-how and professional development process of Ergon’s saddle development impressed even this world-class athlete. 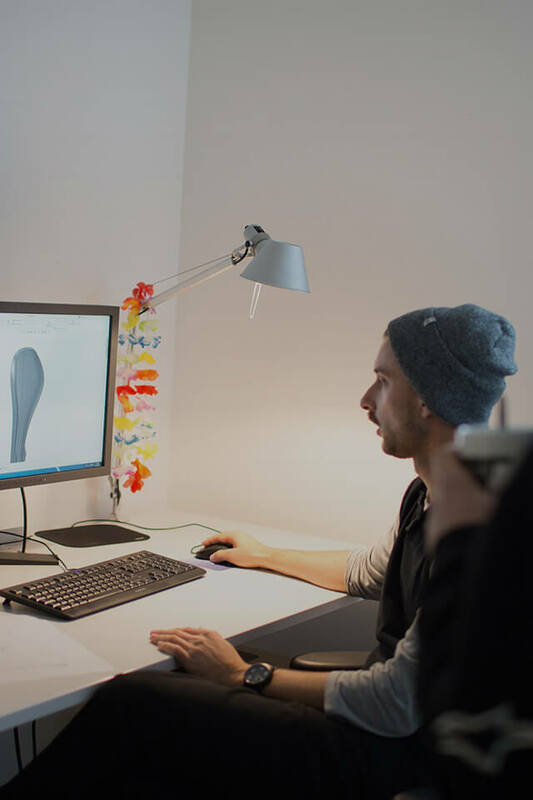 Soon we’ll be looking forward to receiving your feedback on our slopestyle special edition saddle. 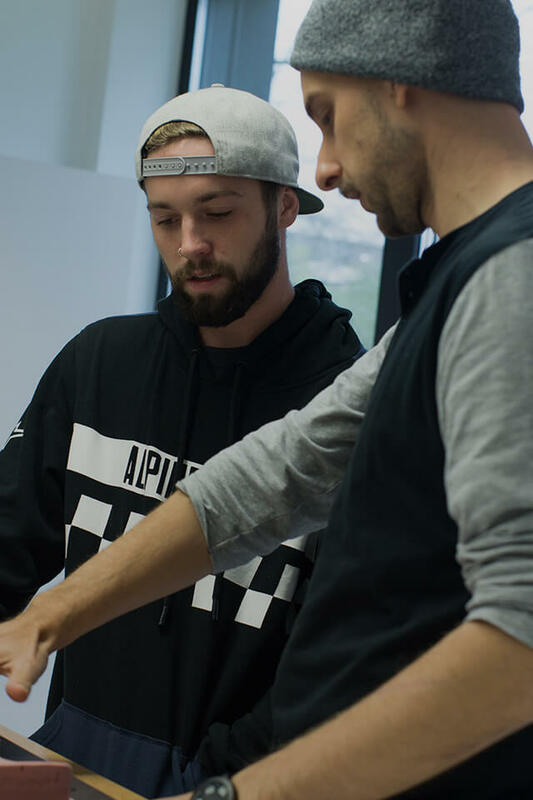 The advantages of designing and developing in-house becomes clear as we implement concepts directly, to realistically evaluate form and function quickly. This significantly shortens the path to a finished product and represents an immense savings in development time. 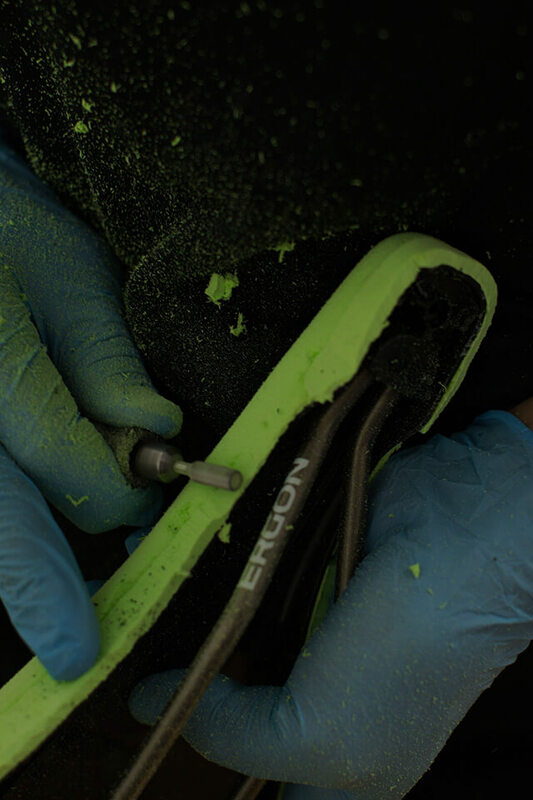 In addition to the saddle designs, other Ergon products such as grips, are created with the same process and attention to detail. Ergon: Nicholi, how long does it normally take you to get a fierce trick like the 1440 ready for competition? 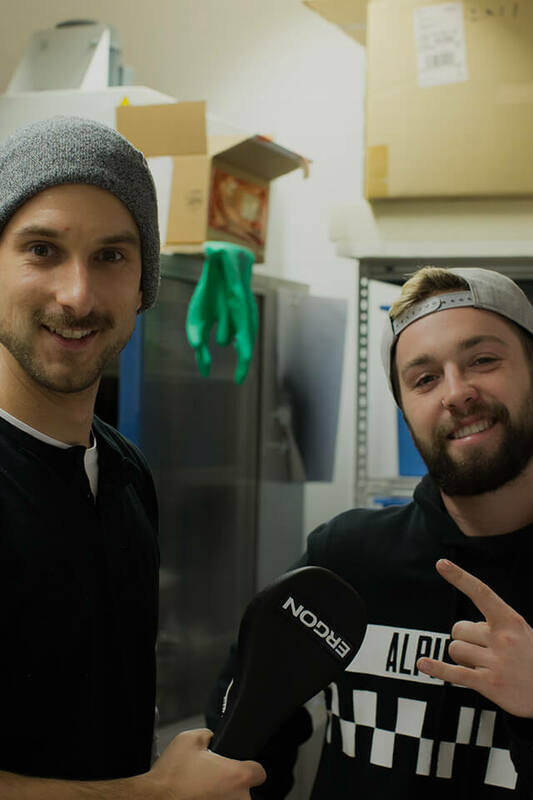 Nicholi: That depends, a big trick doesn’t appear out of nowhere, it takes a reasonable amount of preparation, and I also train a lot with the air bag, but some tricks are hard to do and it can feel like eternity until it is completely clean. 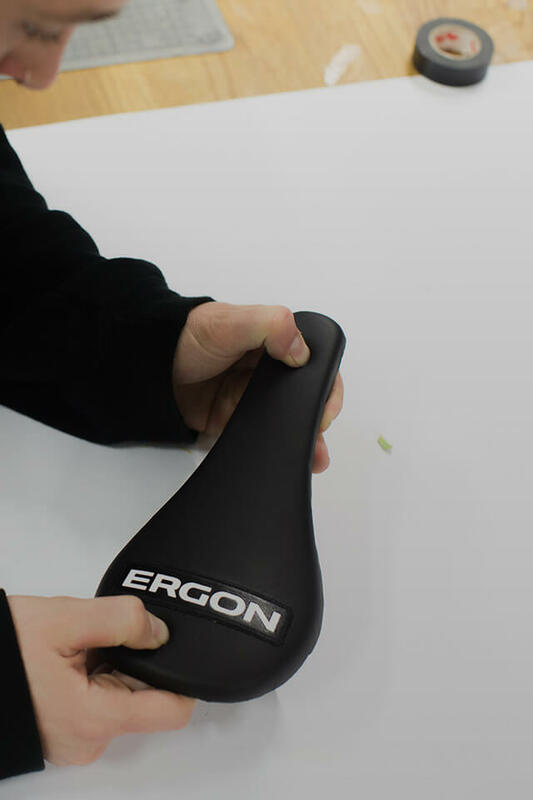 Ergon: Sounds challenging, but to what extent is ergonomics important to you? 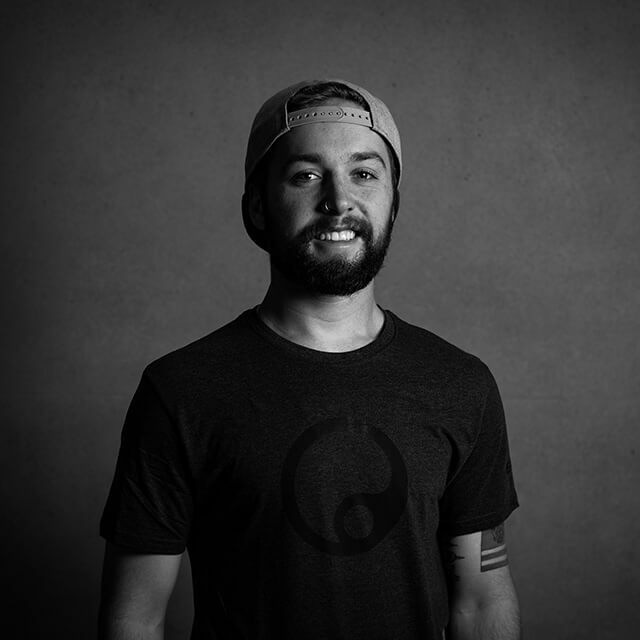 Nicholi: The right grip is essential in my extensive rotation of tricks – I always pay close attention to the texture of the grip and its compounds. 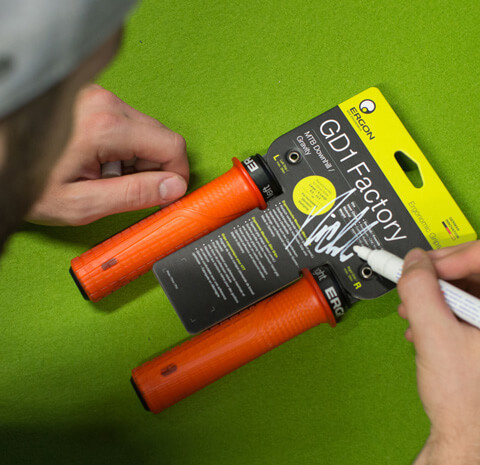 Especially important is the inside stop on the GD1, which allows me to feel the end of the grip without having to look down. 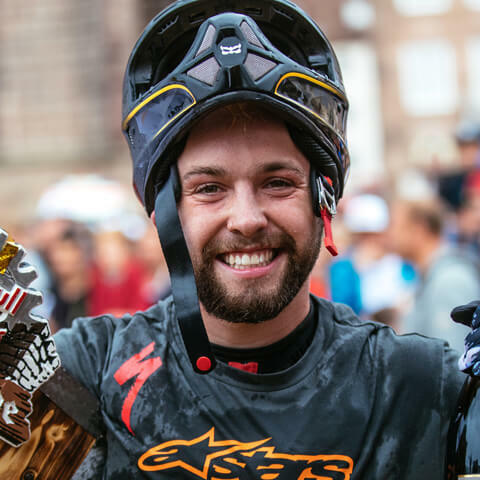 Ergon: What happened at Rampage 2016 in Utah? 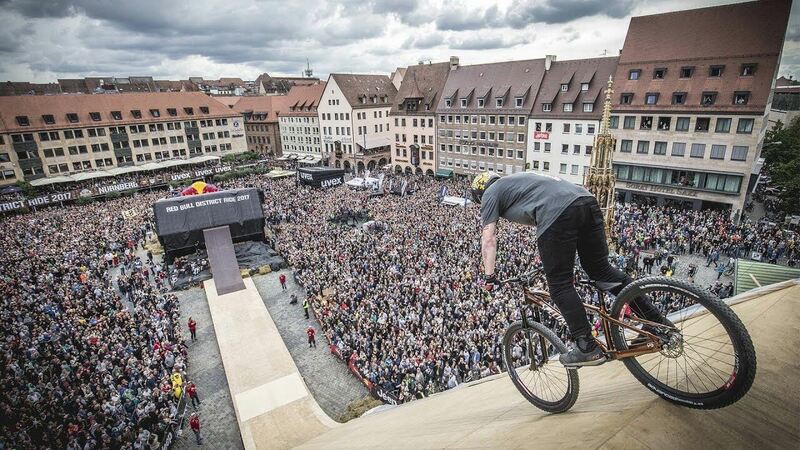 We can’t imagine what went through your head during your brutal crash? Does this concern you today? Nicholi: I was not afraid to die. At first I wanted to keep the situation under control and fortunately I could, only coming away with scratches on my face and small bruises. Does it still impacts me? I can say no. 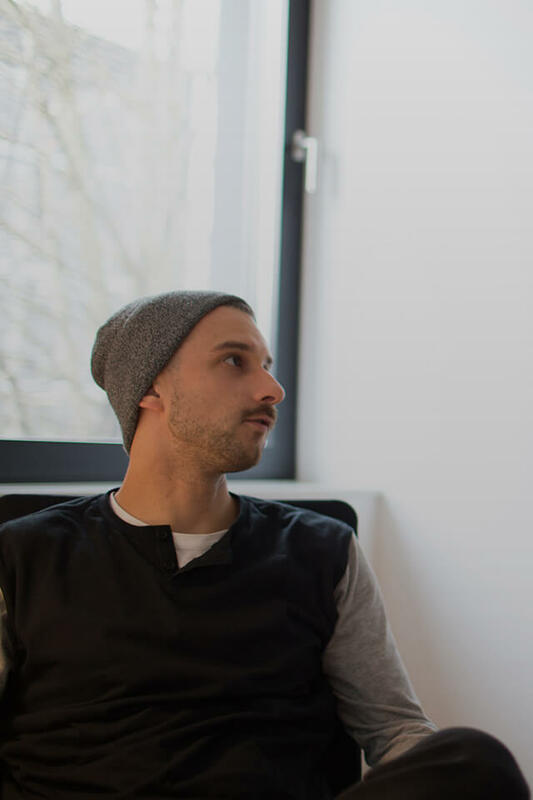 However, I often think about how small errors can have a big impact. 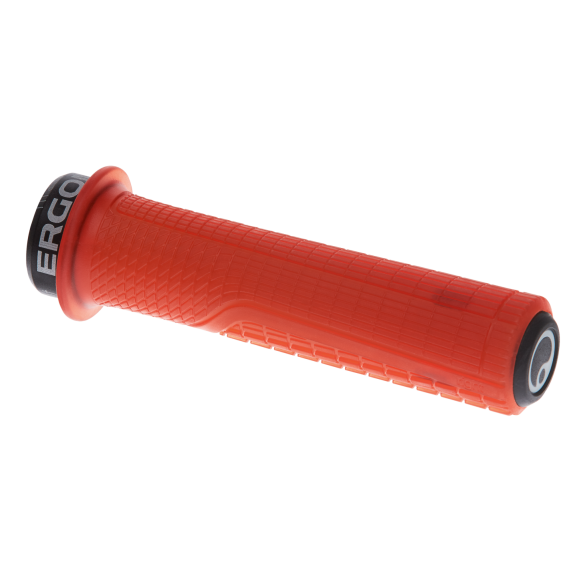 Ergon: It’s amazing how you manage to keep the motivation level high for the entire season. What’s your secret? Nicholi: The fans are super important. I draw so much from them! There are the families. They come to the contest with their kids and tell me that I’m a role model for the little kids and the kids started biking because of me. These are the cool moments from which I can draw my motivation! 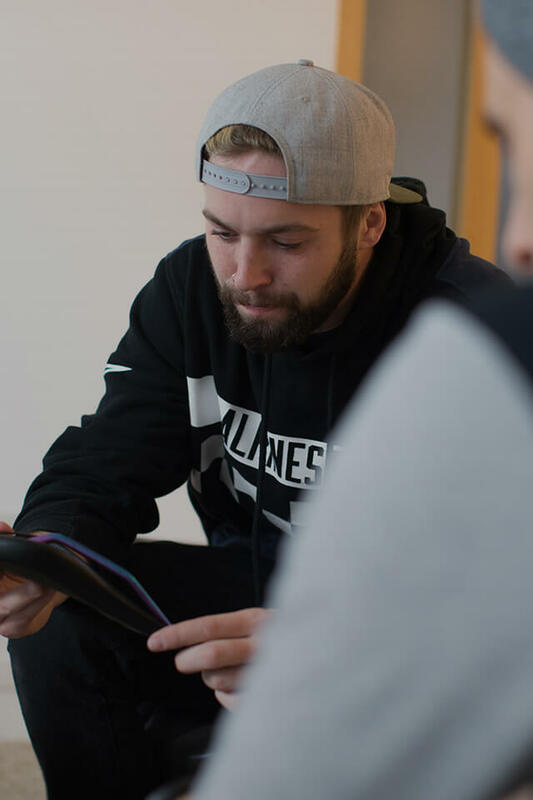 I represent our sport, and my style of biking has an impact on riders and people. I - and we - are an inspiration to the people. It feels good and motivates me every day. 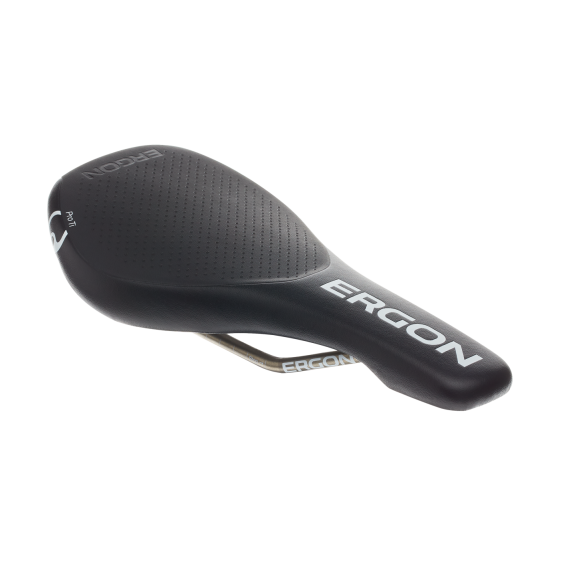 Ergon: It’s great to live the sport that way when it creates a cycle of give and take. What are you doing in the off-season? Nicholi: I am looking forward to being back home. I’ll put my bike in the corner, do other sports and spend a lot of time with my family, which is not possible during the season. 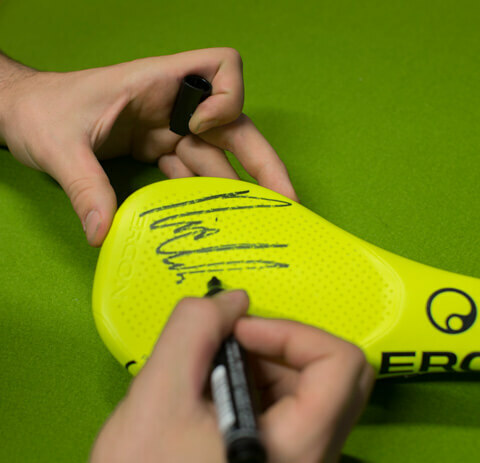 To wrap things up, Nicholi signed giveaways for our Facebook and Instagram Raffles for 2018.